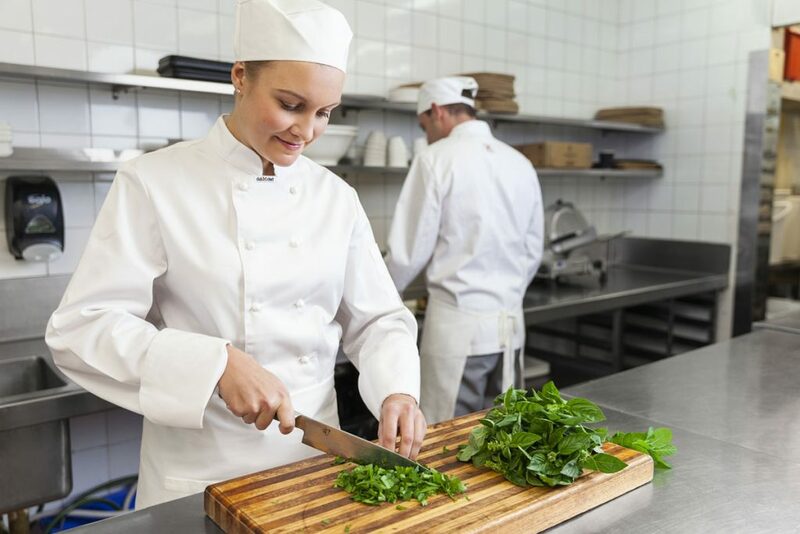 A career in food service industry offers countless opportunities, diversity, job settings, pay, and benefits with a promising job outlook. And all of this, in addition to getting to work in a profession you’re passionate about. What could be better? Restaurants remain the nation’s second-largest private-sector employer, providing jobs and careers for about one in 10 working Americans. 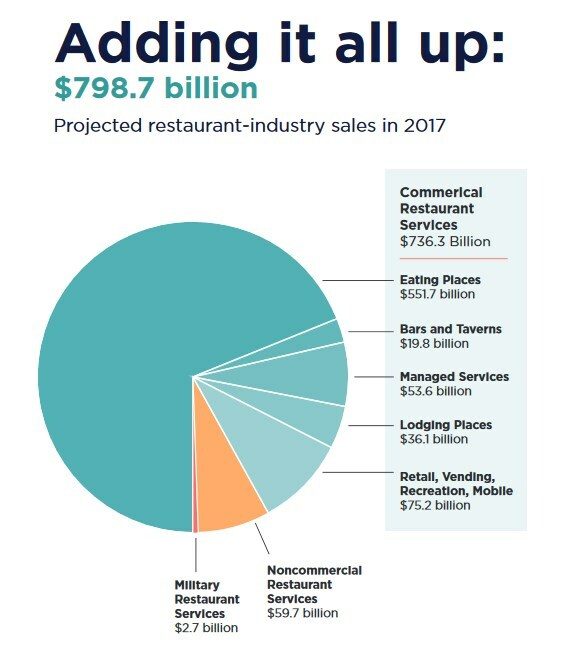 The National Restaurant Association projects that restaurant-industry sales will reach $798.7 billion in 2017, a 4.3 percent gain over the industry’s estimated sales of $766 billion in 2016. Adjusted for inflation, 2017’s projected restaurant-industry sales represents a 1.7 percent gain over 2016 , up slightly from the 1.5 percent gain registered in 2016. 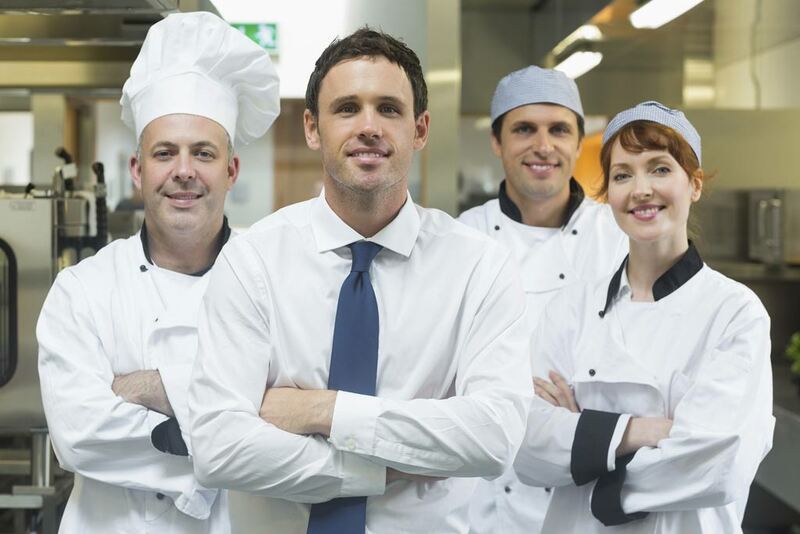 By the end of 2016, it is expected that 14.7 million people will be employed by the restaurant industry (a 17-percent increase from 10 years prior). 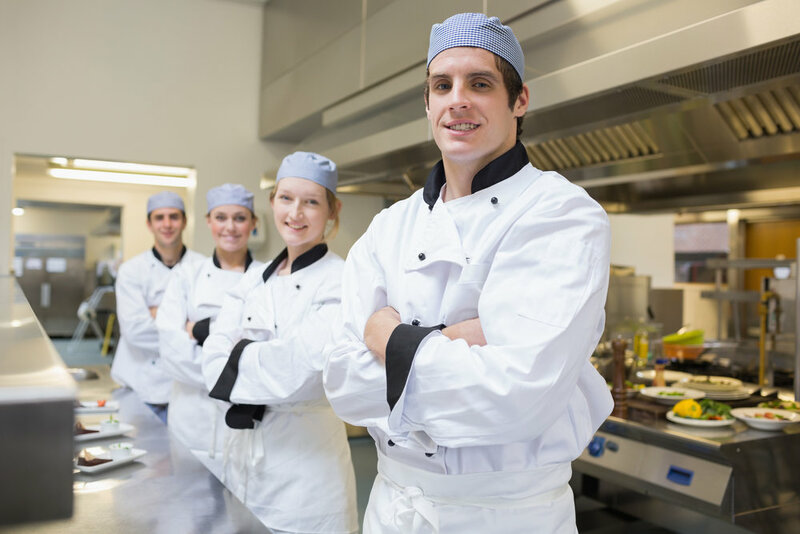 Experts predict that employment in the restaurant sector will grow by 12 percent from 2016 to 2026. Almost 80 percent of the food and beverage products that U.S. consumers purchased in 2012 were manufactured within the country. As of May 2016, the food-manufacturing sector employed more than 1.5 million workers. These people are involved in manufacturing and processing soft drinks, beer, chocolate bars, chips, frozen entrees, boxed foods, baked items, pet food, and just about any other edible product you can think of.